Almost daily I hear someone claim that the president has crossed a new line, that surely now his white Christian supporters will abandon him, or at least acknowledge (some of) his faults. It happened again yesterday after his press conference with Russia’s president. But this hoped-for line will never be crossed. This president will never transgress the ideology most sacred to Trump’s white Christian supporters, their whiteness itself. We’ve watched him violate most of what politically-active white Christians have traditionally said is sacred about the USA: respect for the military, forms of sexual morality, even basic Christian doctrine. The president has repeatedly flaunted all of these and his supporters remain. But this president will never transgress whiteness so he won’t lose the support of those Christians whose identity, it turns out, is primarily racial rather than ecclesial. Racist dog whistles, nostalgia for European culture, sympathy with white nationalists, violent responses to Latino/a migrants, slandering black nations… these aren’t embarrassments for Trump-ian Christians but assurances to their most deeply-held beliefs and fears. The sacred line that would need to be violated in order to lose these Christians is too deeply embedded within the president himself for him to ever cross. He shares this with his supporters… so he will never, ever lose them. Ed Cyzewski and Derek Cooper have written a very helpful book about discipleship. Hazardous: Committing to the Cost of Following Jesus could almost be considered an introduction to discipleship, though the authors push beyond the introductory to describe a way of living that is as compelling as it is risky. Ed was kind enough to answer a few questions about the book. 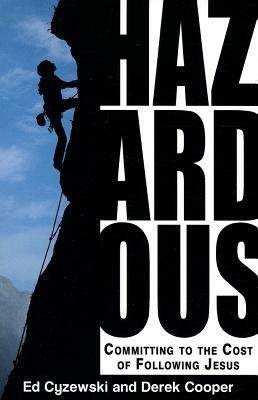 Leave a comment for a chance to win a copy of Hazardous. Throughout the book you make the case that discipleship to Jesus is risky and unpredictable. What is it about much of American Christianity that requires this reminder? Speaking for myself, I’ve gone back and forth between doing the bare minimum as a disciple of Jesus and feeling guilty about not doing enough. I’ve had my times when I’ve reduced discipleship to the bare minimum of Bible reading and church attendance. However, when I hear about Christians making huge sacrifices to serve the poor or to travel around the world, I feel guilty and overwhelmed, unsure about where to start. I wrote Hazardous as much for myself as anyone else because I knew there were a lot of American Christians who had been told the same things I’d heard: Jesus as your Lord and Savior makes life meaningful, peaceful, joyful, etc. Joy and peace do come from a Savior, but a Lord who can direct your life can ask you to do some pretty tough stuff or make some huge sacrifices. Hazardous is my attempt to look at the risky and difficult parts of following Jesus that American Christians are less likely to consider. In the book you point out that discipleship involves our personal, family, and public lives. By public you especially have in mind work and vocation. Of the three, our public lives often seem the most incongruous to discipleship, requiring a lot of pragmatic decisions that may or may not align with our discipleship to Jesus. 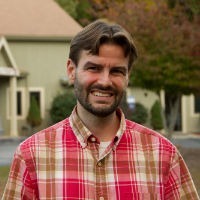 What have you seen that makes you hopeful that we can live robust public lives of discipleship, especially for the majority of Christians who don’t serve in vocational ministry? The story of Zaccheus has proven hopeful for me as I try to think about following Jesus in my work. We don’t read about him making a profession of faith. He changed his work practices, redirected his money to those he’d exploited, and then invited Jesus over for dinner. That’s what prompted Jesus to say salvation had come to his home. Zaccheus didn’t necessarily leave his job. He changed his priorities, using his work to bless others rather than to exploit them, showing he understood that God’s approval mattered more than financial gain. And even the Roman soldiers who came to Jesus or John the Baptist didn’t have to turn in their swords. Living as a disciple in the work place in particular means we follow different rules than everyone else, but we can still do the jobs we feel led to pursue. In my own work as a writer and an author, I have every confidence that I’m doing what God has called me to do, but I don’t operate my business like others who may overcharge clients, pay for fake reviews on Amazon, or hire ghost writers to pen endorsements for their books. I’ve seen many friends make “costly” business decisions in order to serve their families, churches, or communities. They have made decisions that made no sense to their colleagues, but have ensured a clear conscience before God and neighbor–which is one of the key measures I see Paul using in his epistles for faithfulness. You don’t spend much time on the church. Any particular reason for this? What role does the church play in discipleship? That’s a good question. In part, the church is implied. For instance, when I write about listening for God in prayer, one of the most important steps is verifying the direction of God with others. If someone can pray with me, then I’ll feel better about taking a risk or a challenge for God. That isn’t something that you can program into a church. It’s more of a relational dynamic in Christian community, so I think we just assumed that Christians living as disciples would work within personal relationships. There certainly are ways that a church can foster a discipleship culture and create opportunities and guidance for following Jesus, but that’s an area where we don’t have expertise about what would work and what wouldn’t. My current church has been working hard at integrating service to others as part of our monthly rhythm, and that has been a good challenge for us as a community, but even that approach is only a few years old. We’ll see how it goes! You strike a really helpful balance in portraying discipleship as both a risky way of living and completely possible at whatever location we find ourselves in. How might the reputation of American Christians change if more of us lived into this balanced vision of discipleship? American Christians are probably most criticized for being highly individualistic and focused on themselves. I would argue this comes from having Jesus as a Savoir but not as a Lord who leads his followers to costly discipleship. As we learn to hear God’s voice, care about the things he cares about, and see the world through his eyes, we’ll start to be moved to care for the people around us. In addition, I would suggest that we’ll also see our language of “personal fulfillment” change as we derive our joy from blessing others and building God’s Kingdom rather than trying to write our own self-serving stories of personal fulfillment. I have also found that listening for God’s voice and obeying his leading has made it significantly easier to live a holy life. When I’m stepping into God’s calling for my life, I need him involved in it from start to finish. You better believe I pray a lot more when I’m taking a leap of faith! Paul’s comparison of discipleship to a soldier’s focus is helpful here. If following my “commanding officer’s” instructions are most important, I won’t have time to get into trouble. My thanks to Ed for answering my questions. Be sure to leave a comment for a chance to win a copy of the book.